A new year’s beginning has just passed us by and triathlon race season is still three to five months away. However, if you are like many age group athletes, you have been training consistently since the end of last season. No longer is it the norm that January 1 is the day athletes jump in the pool, dust off the trainer or dig out the running shoes to begin preparing for the upcoming season. Most athletes will have been engaged in a balanced swim, bike and run program throughout the fall and early winter. I recently wrote about finding those extra few minutes that will allow an athlete to qualify for world championship events. This examination is not limited to pros or elites, and should apply to every level of triathlete. Age group athletes are striving for their own personal glory and competition is fierce at every level—one can’t afford to leave out anything. The process for shaving off minutes in order to qualify involved looking through every aspect of training, racing and equipment choice to source where strength and weaknesses lay. What we have found, for example, when it comes to the actual physical preparation, is that many athletes have a “favorite” discipline that they are quite happy to put hours and hours into; and another where they do just enough to get by. To become a complete athlete it behooves one to work on areas that need improvement. An effective way to improve overall triathlon performance is to take some time to focus training volume and intensity on one sport, particularly the one that needs the most work. As a coach I have found that dedicating three months toward improving a discipline has the largest chance of improving performance. If you have been struggling in an area for a couple years, incorporate this emphasis phase into your annual plan. If you work with your coach to carefully dissect the individual components of your training, come race day you should be ready to put it all together for a great result. Winter is prime time to do this, outside of the Competition Phase. This longer time frame will provide a much greater opportunity for performance increases and adaptation. For a three month emphasis, pick a meaningful event to end the phase with, such as a bike race, Masters swim meet or a half marathon. Plan a couple more “building block” events along the way to work toward the goal event, and to keep you excited. You will learn some tricks of the trade from single sport athletes by participating in individual sport competitions that might not be apparent in triathlon competition. If your goal is to improve run threshold speed; by increasing the volume and intensity of running, you can achieve significant breakthroughs and close the gap to your dominant discipline. However, the body can only handle so much. If you are going to add two extra run workouts per week, then you also need to reduce bike and swim volume. Drop one workout per week of each of those sports. You may also want to reduce intensity somewhat in your non-focus sports to allow full recovery between runs since that is your focus. For instance, within a three month Emphasis Phase focused on running, the first four weeks should concentrate on increasing base mileage. Improving endurance and including sport specific strength, such as hills at lower intensity and good form are the goals during this period. Month two should gradually shift to more work at threshold by adding another high intensity workout per week. Start pace work targeting a goal half marathon, such as six-to-eight x 1-mile with 1 to 1.5 minute rest. The goal of these threshold sessions is not to “hit it out of the park,” but to progressively increase the speed you are capable of. For example, in running mile repeats, aim for a speed increase of five-to-eight seconds-per-mile throughout, compared to your previous standard. While increasing speed, also focus on the technical details, keeping the upper body relaxed and maintaining good technique. During month one and two increase drill work. Finally, in this threshold phase add one or two shorter races of 5K to 10K to test yourself and give accurate feedback as to your progression, and to refine your single sport skills. As you go into the month three, use this time to work on maximum speed with intervals sessions incorporating a 1:1 work-to-rest ratio. Allow yourself a little more rest in your overall weekly plan. Mile paces should increase between five to eight seconds. 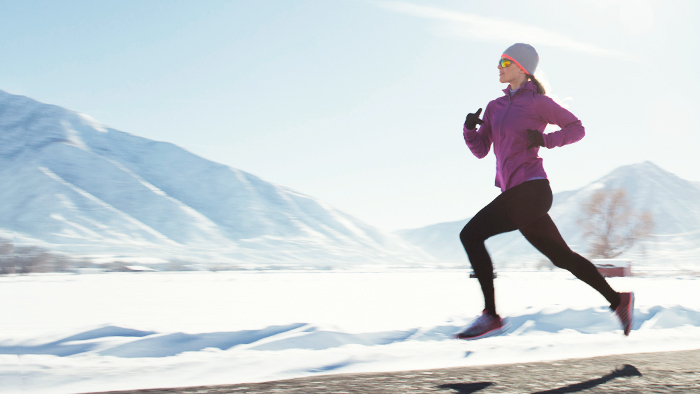 Finish off with a final week of tapering before your goal competition. Pick a meaningful goal event for the end of the focus phase. Incorporate three to four weeks of base work (i.e. long endurance sessions in heart rate zone 1 and zone 2) in the focus sport. Add one extra base session than you normally would in that sport during regular triathlon training. Do the first “building block” competition at the end of the three week phase. Move into four to six weeks of threshold emphasis (i.e. short-rest intervals, heart rate zone 3 and 4). Still do base once a week. Do one more threshold session per week than you would normally do in your triathlon training for that sport. Do one to two more “building block” races in the threshold emphasis phase. Move into two to three weeks of speed emphasis (i.e. high speed, long-rest intervals, heart rate zone 4 and zone 5). Reduce base, maintain 60 to 75 percent of your threshold work, and do one more speed session per week than you would normally do in regular triathlon training. Taper for seven to 10 days leading up to your goal competition. Within the annual plan, between an early season event and an athlete’s “A” race for the year, there can be shorter blocks of single sport emphasis. For a two week “Boost Phase” like this, the frequency and intensity and freshness going into each workout will result in some small gains as well as some confidence in speed. It is a good opportunity to refresh one part of your game which may have been slipping. Increase frequency in the boost sport by one to two sessions per week. Decrease frequency in the non-boost sports by one to two sessions per week. Assess more specific areas of need in your boost sport—is it run threshold, bike hill climbing strength, open water stamina, etc.? Build your program around the boost sport to ensure you are better prepared for your key sessions. Make sure and have rest days between your higher intensity boost sport sessions. Switching from a balanced three sport training regimen to one that has a single sport emphasis can result in a solid overall performance improvement. Spending time on a single sport will reinforce how that sport should feel and give the athlete confidence in what they are able to accomplish. Another benefit of a single sport focus is to stimulate the brain in a different way, making the block seem fresher than a basic three bikes, three swims and three runs per week. Finally, as a bonus, it is very satisfying to take an area of weakness and turn it into strength. LifeSport Head Coach Lance Watson has coached a number of Ironman, Olympic Games and Age Group Champions over the past 25 years. He is a Triathlon Canada Hall of Fame inductee. Lance enjoys coaching athletes of all abilities. LifeSport Senior coach Dan Smith has coached beginner to professional level athletes for more than 15 years.Athletes looking to tackle new goals or improve their performances are invited to join the LifeSport team. Visit us on the web at www.LifeSportCoaching.com or email LifeSport Coaching.